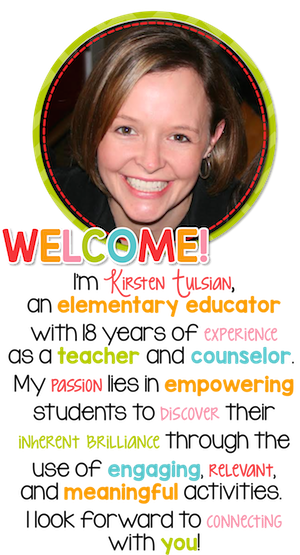 Growth mindset for kids has been buzzing like a swarm of bees through the education field in the last couple of years. If you are familiar with or have training in this area, you already understand its potential to change students’ lives. 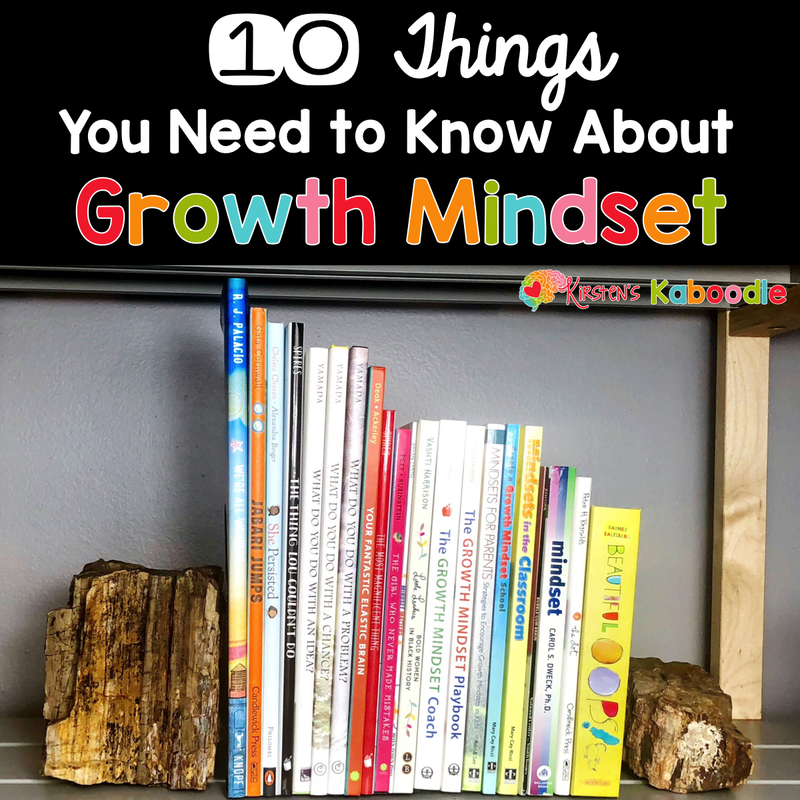 For those of you that need a refresher or are new to growth mindset for kids, I’ve thrown together 10 things you need to know. 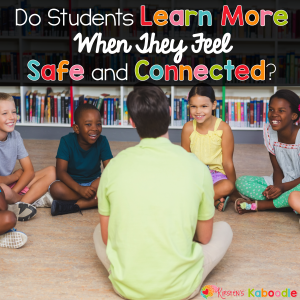 Much of this information comes from Mindsets in the Classroom by Mary Cay Ricci, and The Growth Mindset Coach by Annie Brock and Heather Hundley, and online research. Once you begin to grasp the potential power of growth mindset in the classroom, this information will reign supreme. 1. What is growth mindset? Students who exhibit a growth mindset believe that, despite obstacles and challenges, a person can develop abilities and achieve goals through motivation, hard work, and practice. On the flip side, a fixed mindset is the belief that talent and intelligence can’t be changed despite dedication and hard work. Thanks to Dr. Carol Dweck, who published Mindset: The New Psychology of Success, we are better able to understand mindset concepts. Like I mentioned in this post, research indicates that children feel less and less capable of achieving success as they get older. In fact, by the time students reach third grade, nearly half of them don’t believe that their brain and intelligence can grow or change. They believe that their intelligence is fixed regardless of their effort to change it. This is a stark contrast to the 10% of students in first grade who believe their intelligence is fixed. In two short years, nearly 40% of all students lose faith in their own abilities. This is argument enough to make growth mindset concepts an integral part of every classroom! 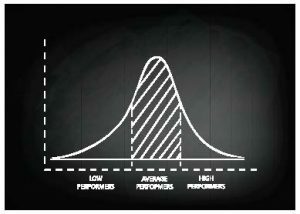 Most teachers were trained to believe the “bell curve” mentality as it relates to intelligence. When teachers accept this assumption, they automatically categorize students as more capable or less capable than their peers. Do you have a list of low, middle, and high students in your class? Do you believe that all of your students can succeed? It takes work, training, persistence, and perseverance, but the answer is a resounding YES! Research shows us that lowering standards for “low” students is detrimental to their future success (and their mindset). Educating your students about growth mindset concepts is absolutely transformative in perceived self-worth, intelligence, and capabilities. It also happens to blow this bell curve to the curb! Do YOU believe that YOU can achieve anything through hard work and dedication? What is the most difficult course you took in college? Could you be a professor in that subject area? I’ll be honest. I struggle with this myself. Though I can confidently say that I wholeheartedly believe in growth mindset concepts, I am petrified to face challenges that “aren’t my thing”. Can you relate? Even though I’ve never believed I could possibly understand HTML codes, I could, ahem, well, I could (maybe)…. okay, I COULD be an expert in HTML coding. Merely typing those words (though my body shuddered) shifted my mindset a little bit. Maybe if I say it over and over again, I will actually start to believe it. The point is that, as teachers, we must reflect on the perception we have of our OWN abilities. 5. The brain IS malleable. No, really, it’s true. The physical structure of the brain and its neural connections can actually BE CHANGED as a result of experiences, new learning, and memory formation! This isn’t some foo-foo statement that growth mindset proponents want you to believe, it’s a FACT! The ability of your brain to grow and change is called neuroplasticity. Neuro refers to neurons, or nerve cells, which are the building blocks of the brain. Plasticity refers to the malleability of those nerve cells. Research even reveals that when there is damage to the brain, healthy parts of the brain can actually take over the function of the part that was damaged. With effort and dedication, everyone has the ability to rewire and strengthen neural connections in their brain! ((YELP!)) Isn’t that exciting? I think so too! Every human needs this reminder periodically. I mean, the next time I send the exact same email to my followers TWICE (#faint), I might need someone to come and pull me from the abyss of despair to remind me that mistakes are fantastic. So, why are mistakes good for the brain? It has to do with strengthening the connections en route to the correct answer. Each mistake brings us a bit closer to success. Our brain also creates categories for what works and what doesn’t work. Many times, these categories and this learning can be applied to many different situations or tasks. Do you see how immediate success doesn’t have as deep of an impact on the brain as mistakes do? Let’s embrace them and train our students to see all the benefits of screwing up. Students who are optimistic in their ability to complete a task will often choose tasks that require more effort. Research on using affirmations and self-talk reveals positive effects on self-esteem and an increase in grades for low-performing students. 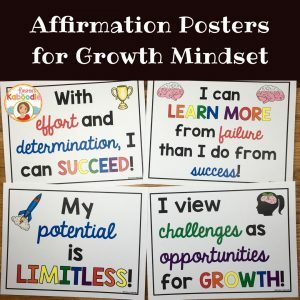 If you want to combine growth mindset concepts with the effects of using positive affirmations, this affirmation poster set may interest you. 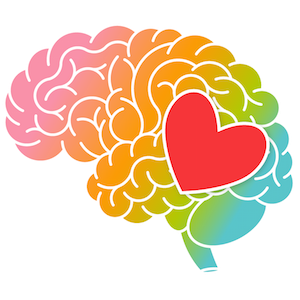 Research shows that even with 45 minutes of growth mindset training, students showed improved engagement, which also resulted in higher grades. Another study found that girls who received growth mindset training outperformed the girls who did not receive the training in math. Are you convinced yet? I promise it’s true. A student who is taught that every single solitary person has the ability to achieve in every single solitary area of life achieves at a higher rate! Merely telling your students that growth mindset works is NOT enough. Give them proof. Read books. Teach them about the parts of the brain and the function of each part. How is the brain like a muscle? What specifically happens in the brain to make it stretch and grow? Arming students with direct and specific information about the workings of the brain is an essential piece of growth mindset instruction. Accurate information about the brain builds the foundation for their belief in growth mindset. I recommend beginning (or reviewing) with Your Fantastic Elastic Brain by JoAnn Deak because it covers specific brain information in child-friendly language. Unlike many picture books, I think it is appropriate for any elementary grade. If you’d like activities to accompany the book, I’ve created one for lower grades, as well as one for the upper grades. Students can also find useful, easy to understand, and informative brain and growth mindset information in these growth mindset bell ringers that can be used for an entire year! Let me say that one more time. YOUR expectations have a HUGE impact on student achievement! In addition to your nonverbal communication, pay attention to the types of praise you use. 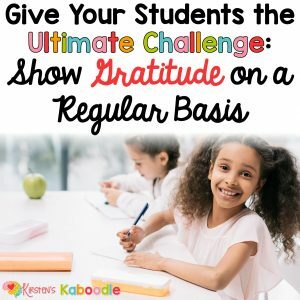 Be sure it is effort oriented and not outcome oriented (check out this post about using effective praise for more specific examples). Utilize YET feedback. “It’s not correct… YET.” “You don’t understand this concept… YET.” Other ways to level the playing field include calling on all students equally (use random name generators), and showing genuine interest in the lives of ALL your students. Do you give students opportunities to resubmit work? Do you provide explicit and clear instruction on how students can improve? Most teachers try to do these things regularly, but it never hurts to reevaluate your expectations and interactions with students in order to help students develop a growth mindset. So, what do you think? Based on this new information, how can you improve your growth mindset instruction? If you haven’t covered them all, it’s okay, it just means you haven’t covered them all… YET! 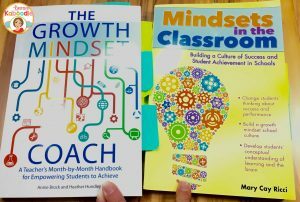 Do you need additional resources for teaching your students about growth mindset? Check here. Skedaddle now… head into your classroom and show your students what they’re made of! Arm them with the tools they need to conquer their fears and persevere in the face of life’s challenges. The future depends on it! Right now, they are only available on the Teachers Pay Teachers website. Love your post! I bought both of your products of Your Fantastic Elastic Brian (lower and upper grades). I can’t wait to begin my growth mindset lessons with my Gifted students. I do believe even the gifted child has the opportunity to stretch their Brain. Although, some may think they are smart and do not need to learn anything else. Any recommendations on how to tackle that type of mindset? ( http://www.loopingwithmybuddies.blogspot.com ) , but didn’t think I was doing that great… Need my own positive affirmation, right? 🙂 I need to get the ball rolling on my blog! Thanks so much for taking the time to leave a message for me Lymari! I appreciate your purchase as well! I’m with you in that the gifted child does have the opportunity to stretch their brain just as much as anyone else. There are no limits and when we keep gifted kids challenged and engaged in meaningful activities, they prove us right! With kids that are gifted, I think it’s particularly important to find their passion and approach projects and some instruction from that angle. You do such an important job and I’m grateful for you! I’ll check out your blog as well! Thanks again and have a fantastic year! I love your work! I am really “into” Growth Mindset right now for my speech-language students (and myself!). This post is filled with fabulous information. Would you be able to post the reference for “Reason #8” — “Research shows that even with 45 minutes of growth mindset training, students showed improved engagement, which also resulted in higher grades.” Thanks so very much! 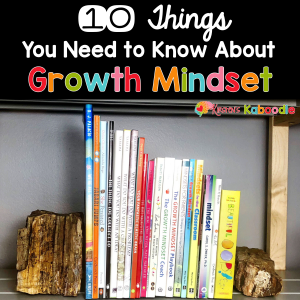 There is so much great research on growth mindset concepts! Thanks so much for stopping by! I saw a shirt that said there are no losers. You either win or learn. If only I would have saw that sooner.